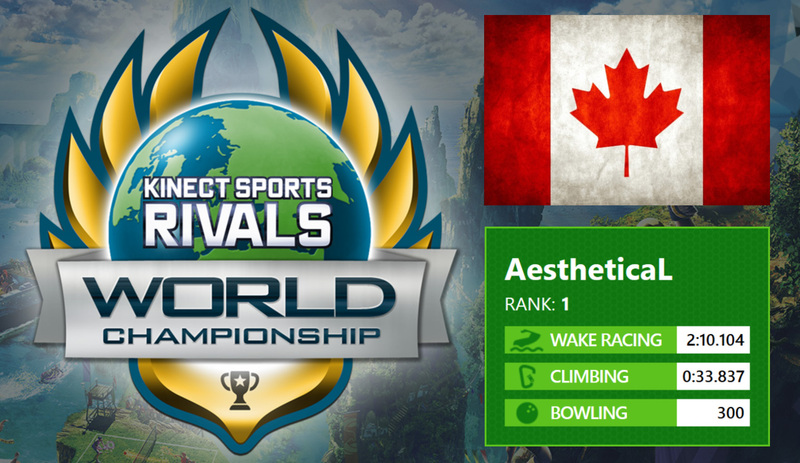 The Kinect Sports World Championship has now closed for North American regions, and I have achieved the title of Canada’s Champion. I don’t even know where to begin with this article. I’m for the most part still in shock that this has actually happened. They say hard work pays off, but this is an entirely new level. Back near the end of 2013, Xbox and Pepsi hosted a contest. Each hour between noon and midnight for almost 8 weeks, entrants could submit ballots for a chance to win an Xbox One with Forza 5. I remember many years ago Pepsi did the same thing with the iPod Classic. This is the sort of contest that you enter because it’s fun, but never actually expect to win. For a month and a half I saved up all of my ballots, and entered them on Christmas Day for the draw between 5-6pm. Since the ballots are removed after each draw, the next one’s odds are based on the new entries. I figured of all days, this one would be the best. Who would be around to type codes in during Christmas dinner? I had about 50 ballots to put in and was excited to see if I’d get lucky. A few days passed, and nothing happened. My assumption was correct. Fast forward to New Years Eve. I had purchased 3 bottles of Mountain Dew for my night’s events. The last draw for the entire contest was set for 11-11:59pm. I had put the 3 PINs from the drinks beside my computer, and forgot about them. 10 minutes before midnight, I went on to find a live stream of a countdown to display on my TV. After I found one, I noticed the PINs. I figured, “Hey, why not. It’s the last draw anyways.” So I entered them and enjoyed the rest of my night. A week later I got a call from a hidden number. It was a representative from the contest letting me know I had won an Xbox One and Forza 5 from the draw on New Years Eve. I was astonished that it actually happened. A month later I received the Xbox One in the mail. I had already bought a Day One edition at launch, so I ended up passing it along to a friend. This tournament is the exact same as that Pepsi contest. You enter because it’s fun, but since it spans across the country it’s not something you’d actually expect to win. On March 24th I wrote an article about the unveiling of the Kinect Sports World Tournament. My initial thoughts were extremely positive, as a contest like this was unique and something I could see myself participating in. I had always planned to enter and compete since I was buying the game anyway. 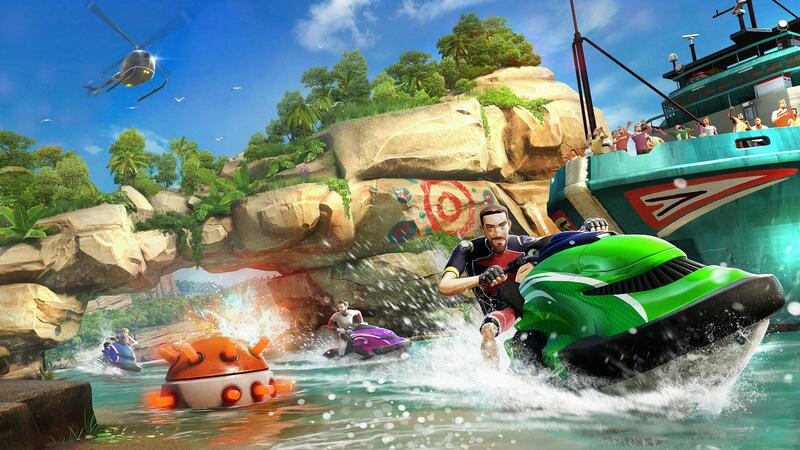 I received Kinect Sports Rivals in the mail on April 8 and began playing right away. It took me a few hours to get through the story, which was required to unlock all of the competition events. I’ll never forget my first run in rock climbing, it was embarrassing. I was well over 2-3 minutes on a 30 second course. I had played the pre-season events for wake racing, so I knew the basics on how to play. 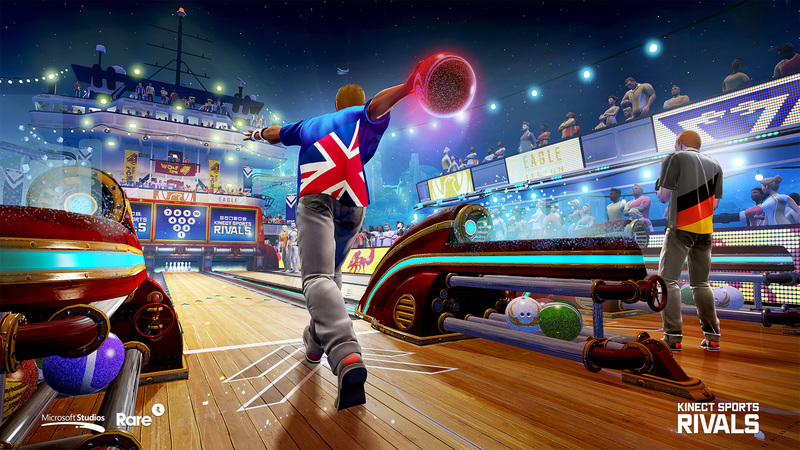 Bowling came naturally, as I had played other motion sports bowling titles. After the first two days, I put together my Spotlight article on Kinect Sports, and it was featured in Rare’s monthly newsletter. The leaderboards had a couple of bugs for the first week, so rankings ended up being out of order. 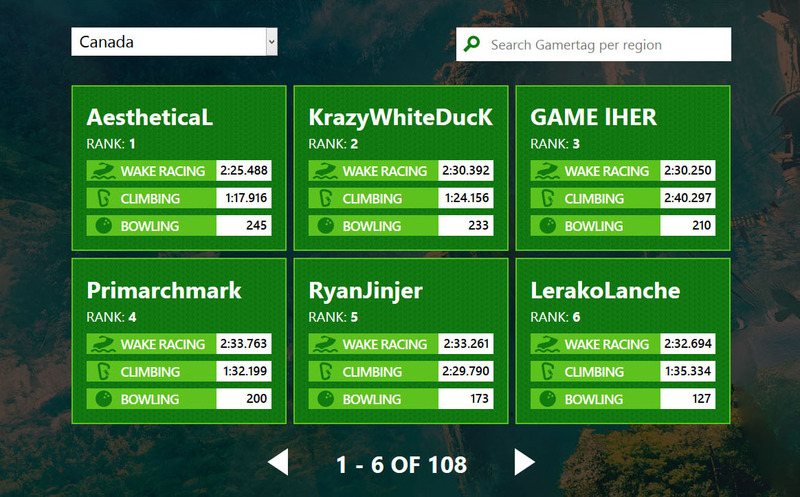 I obtained the best scores, but bowling hadn’t been updated yet so I was hovering around the first page for a bit. Once everything was sorted out, I took the top spot. I started taking screen-shots of the leaderboard as time went by to show the progress made between competitors. Over the course of that week my scores vastly improved. Climbing had become – and still is – my favourite event. It feels like there is true progression in skill after playing for an extended period of time. Some of the players on the two images above only played during launch week, as their scores haven’t changed at all to this day. My progress was for the most part unrivalled for the majority of the tournament. It’s not that I didn’t put in the work, as I have over 100 hours of game play time within the 7 weeks that the game has been out. A few competitors held their own, including cousi87 who was 2nd place all the way until May 13 when SpAc3d 0uT ll claimed the spot. I continued to play throughout the two week period, but wasn’t able to top any of my times. 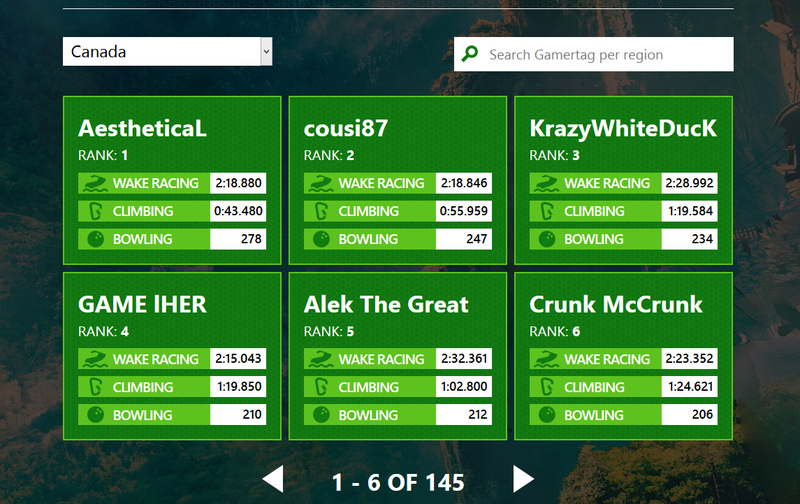 As of May 17, the leaderboards had no change until May 28 when I beat my climbing score. It still wasn’t good enough to reclaim 1st place worldwide, but I was happy just to improve. It’s now June 3, and the times I’ve achieved have secured the win. At the beginning of the contest I had always envisioned that the second half of May was going to slow down significantly as people moved on. If I was just able to perform well and attain unbeatable scores, then I’d be put in a position where I could sit back and watch the days go by for the entire month. Even though this ended up being the case, I still played almost every day to try and beat my own times. I didn’t want to get put into a situation where there was pressure to achieve a better time. I always wanted to have the upper hand. Out of all 3 events, Wake Racing was my weakest sport. It felt like things were going to progress well, as I started out with a time of 2:25 on April 10. Throughout the contest I learned proper steering, stability, and efficient route management. By mid-April I was already down to 2:18, however the progression was coming to a halt. I had a really hard time figuring out the ramps to take and proper boost usage. Over the course of the tournament I went from using all of the ramps, to none of them, and trying to get a boost every chance I could. It got to the point where I knew what time I should be at with every checkpoint throughout the race. A map was even drawn out on paper to picture the times I should be achieving during the race to attain a record score. By May 1st I was stuck at 2:14. It wasn’t until someone asked if they could watch me play that I had a sudden realization. While playing with an audience, I resisted doing jumps and other awkward body motions and just raced. I ended up scoring a 2:13 time for that race. At that moment my understanding of the event fell apart and I went back to the drawing board. I said to myself, “Could it really be better to avoid boosts at all?” It didn’t make sense that boosts slowed you down, so for the next round I just raced and kept it simple. I only used a boost on very big waves when you’re suspended in air and can’t really do anything. That race I achieved a 2:11 time. For the next week I kept practicing this method and ever so slightly got ahead by 1/10ths of a second. On May 9 I was down to 2:10:10, which is my current standing time to this day. I’ve continued to race nearly every day, and haven’t been able to score under 2:10. The time I had achieved put me in 6th place worldwide at the time, but has now dropped to 14th as people have managed to progress further. This score is currently the best time in Canada. This event was a little rough at the start, but it quickly became my favourite out of the 3. I took the time during the campaign to get used to the mechanics. The beginning was tough since I didn’t expect the motions to be so precise and fluid. By the first score tally on April 10, I was already doing well with 1:17. Since I enjoyed competing in this sport, I played it a lot over the course of the first 2 weeks. On April 17 I had already attained 43 seconds. My path was becoming more refined, and there was clear progression in skill. 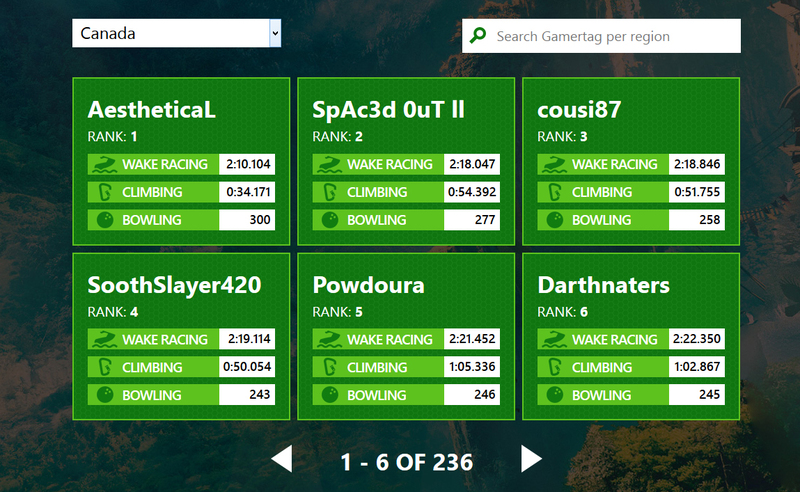 By the end of April, I ended up getting my score down to 35.23 seconds. I had started a rivalry with Lucktose, who is now Germany’s semi-finalist. We were constantly going back and forth by fractions of a second. It was enjoyable competition, and a good source of motivation. The times we achieved felt surreal. Each time a new second was gained, it was like the next one was going to be impossible. I was at 35s for a few days until May 6 when I reached 34.90s. Around this time is when FusedDaelin of USA managed to beat both of our scores. He was the first one to reach 33 seconds, and gave me something to work for since I had held the top spot for a little bit. I had hit a wall at this point where it was going to take hours to even manage a millisecond of improvement. On May 14 I managed to score 34.17s. Although it was still second place worldwide, I was happy to see some progression. I didn’t play climbing as much as the other events after this point. Climbing became a sport that I would have to dedicate at least 2-3 hours to get focused. 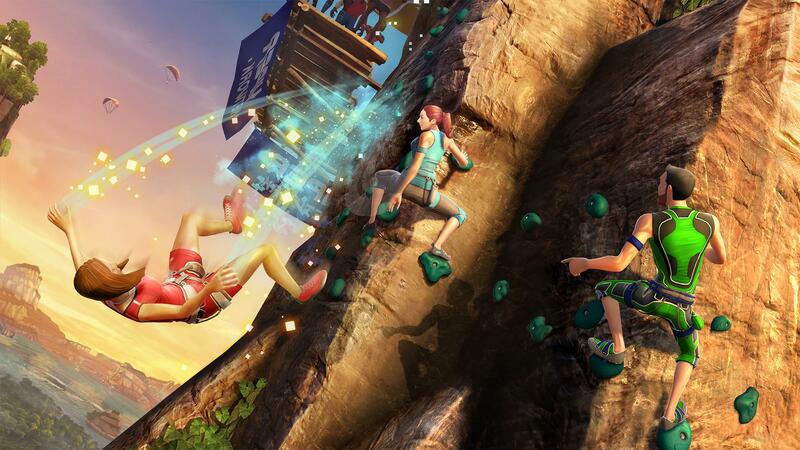 Unlike bowling and wake racing, playing a few rounds of climbing wouldn’t be enough to warm up and set a better time. The track was fully memorized by this point. Even though the rock placements changed slightly each time, the general areas and patterns stayed the same. I had gotten to a point where I was completing the motions half a second before the game registered them. While this strategy had a high chance of resulting in a mis-grab, it was the risk that had to be taken to achieve such a low time. I started to understand the process athletes endure in their sport. Having to memorize patterns, perfect the form, and push as hard as you can. It was an experience that I will never forget. After 2 weeks on May 28, I finally beat my time. A new record of 33.87s was set, and was an exciting improvement. Although FusedDaelin sits at 32.66s, I was proud of the time I had accomplished. I am currently 2nd place worldwide, and this is the time I finished the World Championship with. I will always remember the struggle endured in this event. For the duration of the tournament, I progressed over 3 different scores. Starting out with 245 on April 10, I achieved that with 2 spares and 10 strikes. A week later, I managed to secure a 278 from 11 strikes and an 8 pin spare on the 5th frame. It wasn’t until May 8 that I was able to score a perfect game. Throughout the Championship, I had the mentality that if I simply bowled a perfect game then I put all of my focus into the other two sports. While it was fun to play, competing was another story. The mechanics for this event felt too random. For over half of the tournament, I used straight throws. Since I’m left handed, I would stand on the first arrow to the left from the middle. Leaning slightly inwards, it would give me just enough angle to hit half of the left side of the middle pin, and give me the best odds for a strike. The problem with this strategy was the more I played, the more random it started to feel. My throws seemed to be perfect each time yet it was never consistent. I would get a few strikes, then a 9 pin spare. There were even rounds where I would get multiple 9 pin spares in a row. I knew I needed to change it up and try something different. That’s when I decided to try and learn the spin. My initial attempts failed miserably, and I couldn’t figure out what I was doing wrong. I kept trying until it became clear that my arm needed to be hooked more inward. After practicing for what felt like forever, I finally got the hang of it. The precision in doing a spin efficiently was difficult to master. To make things easier, I lined up spots on my TV stand to mark where to let go of the ball and then another for the spin angle. Even with all of the training and persistence, I still feel like my perfect game was part luck. Frame 5, 8, and 11 were the hardest to beat. I used the best speed ball power-up, and obtained it on frame 4, 6, 9, and 12. I made it past 7 a few times, and failed on 8. The first game that I succeeded on frame 8 lead to be my perfect game. 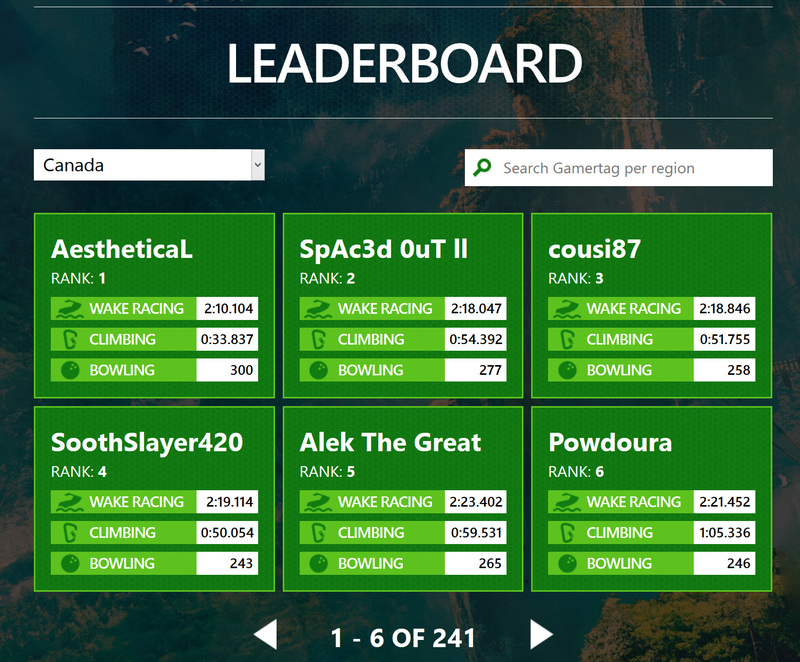 I was 12th in the world, as well as the 1st and only Canadian to achieve it. A new journey to the World Championship finals starts today. I’m going to be training to improve not only my skill in Kinect Sports, but also my physical condition. The finals are set to take place on July 26 at Comic-Con in San Diego. It will be an all-day live event. Stamina and determination will be key to victory. Thank you to everyone who’s shown their support over the course of this Championship, and I look forward to representing Canada at the finals.